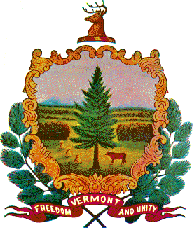 The Department of Public Safety is grateful for all of the dedicated Vermont state employees and volunteers who serve on boards and committees. Advises the Commissioner, Governor, and General Assembly on the cooperation and coordination of agencies that exercise law enforcement responsibilities. All allegations of misconduct by State Police officers are given to the State Police Advisory Commission (SPAC) for review. A board created to develop a shared inter-operable radio communications system for all first responders within Vermont. A commission created to help plan, develop, and implement a public safety broadband network to support the communication needs of first responders. Assess the State's overall homeland security preparedness, policies, and communications and to advise on trategies to improve our current system. A board created to provide advice and counsel to the Criminal Justice Services Division of the Vermont Department of Public Safety regarding the operation of the VIBRS network.